The origins of Ambient Music seem to date back to Erik Satie and his idea of "Furniture Music", music that is present in a room and just as unobtrusive as its furniture. Another idea came from Brian Eno and his renowned Music for Airports. Texturally sparse and of a gentle mood it more fully espoused the notion of music experienced equally well through active listening or at the periphery of awareness. As this musical concept went out into the world it fueled the creativity of many musicians and confirmed the output of others already working towards similar ends. Over the years Ambient Music has quite creatively moved beyond the concepts first implied at its beginnings and now includes an enormous variety of works - some of which reach into the realms of musique concrète, spacemusic and minimalism to further the expressionistic intentions of the composer. 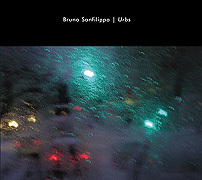 Urbs (67'33") by Bruno Sanfilippo is certainly an album of Ambient Music, but it should also be thought of as a unique and personal creation made in the form of a complex yet truly Ambient soundscape. While it may feel somewhat vague Urbs is much more than mere background music. Yet listeners may have to treat it that way. The four tracks pass very quietly in a slow motion haze - but as compelling as these realizations are it may be difficult to stay present in the music. At once dreamlike and vibrant Urbs is interestingly inward. 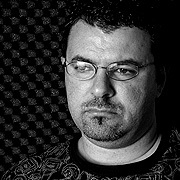 Using synthesized and sampled textures and atmospheres Sanfilippo also works in a distinctive array of field recordings from various urban settings. Voices, street traffic, the ambiance of large spaces and the general sounds of city life are all arranged beautifully amidst breathing drones, ethereal bells and rounded electronic tones. In many passages Sanfilippo combines his manmade sounds with location audio so effectively that it is difficult to discern one from the other - the blending is so complete. More gesture than musical composition Sanfilippo's work is remarkable for its absence of a recognized process - and may be more notable for its own mysteries than as a means of unlocking ours. Its detailed and fluid movement will cause a range of reactions, none of which is wrong.